You’ve heard that spring is a booming time for real estate, and 2017 has been no different. This March showed all the signs of a market that’s on the up at an above-average pace. 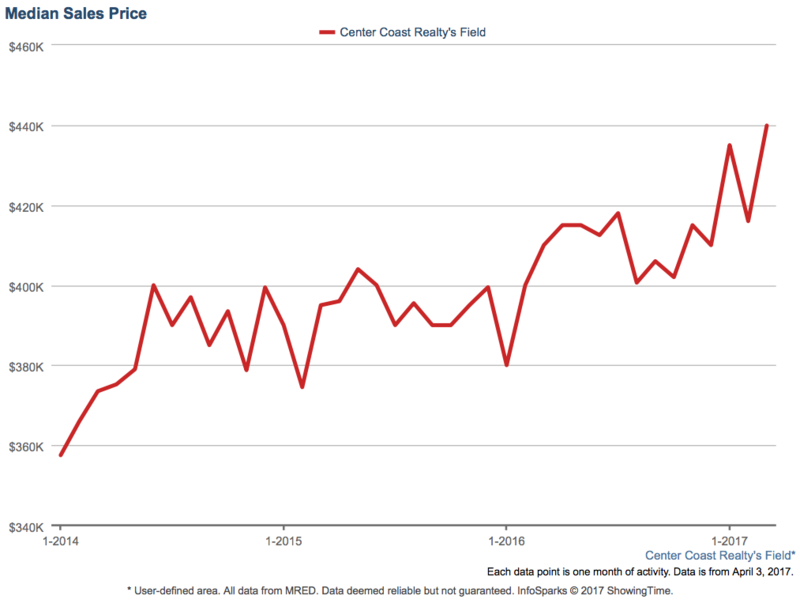 March 2017 was characterized by rising home prices and a drastic decline in the average time that listings spend on the market before going under contract. And as predicted, the supply of homes for sale is still at an all-time low. If you were looking for a home in Chicago over the past few months, you know how swift you had to be to snag a place. Homes that went under contract in March were on the market for only 14 days, on average. 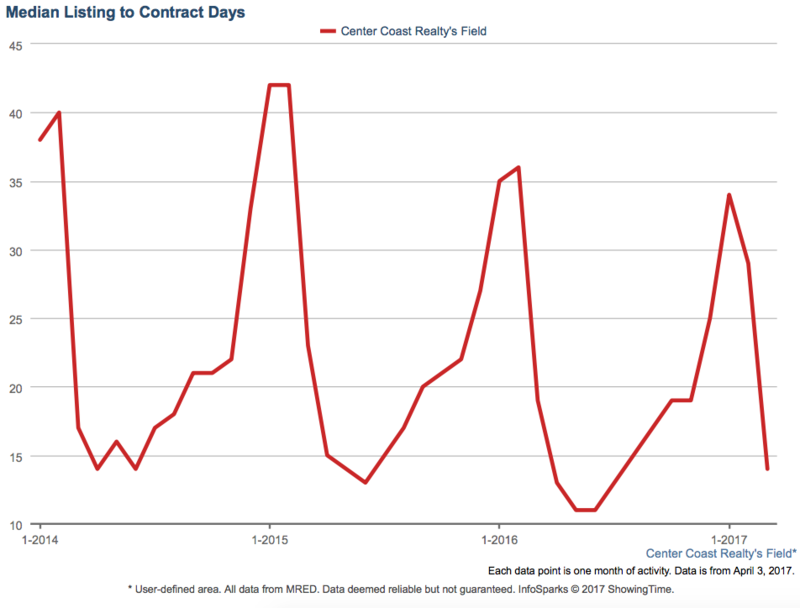 Compare that with homes that went under contract just one month before in February, when the average time on the market was 29 days… Talk about a change of pace. To successfully snag a home in March, you didn’t just have to be quick. You had to be willing to pay up, too. The median sale price of homes that closed in March was 6% higher than homes that closed the month before, and 7.3% higher than last March’s median home sale price. No matter how you slice it, sale prices are on the rise. So, if you haven’t already gathered from these stats, the market was ultra competitive this March. But why? 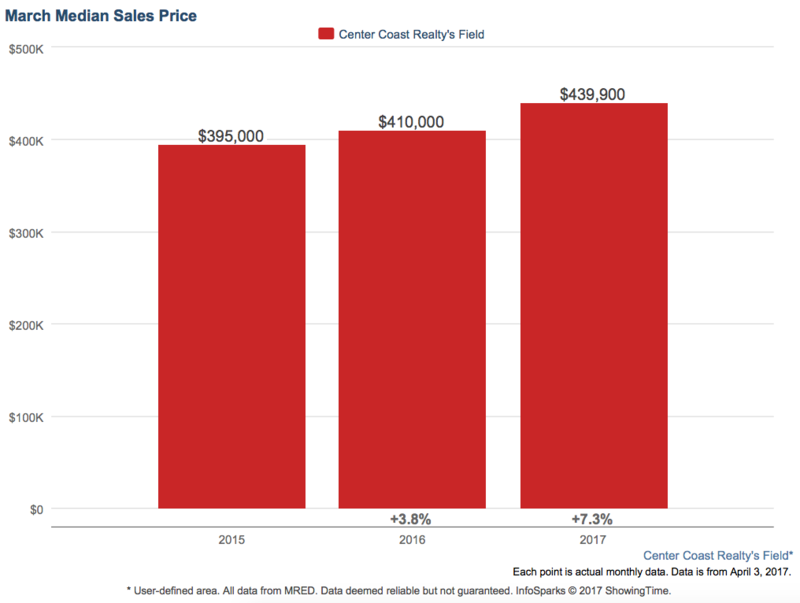 There are always a lot of buyers entering the market in the spring, but this March took the real estate game to a new level. 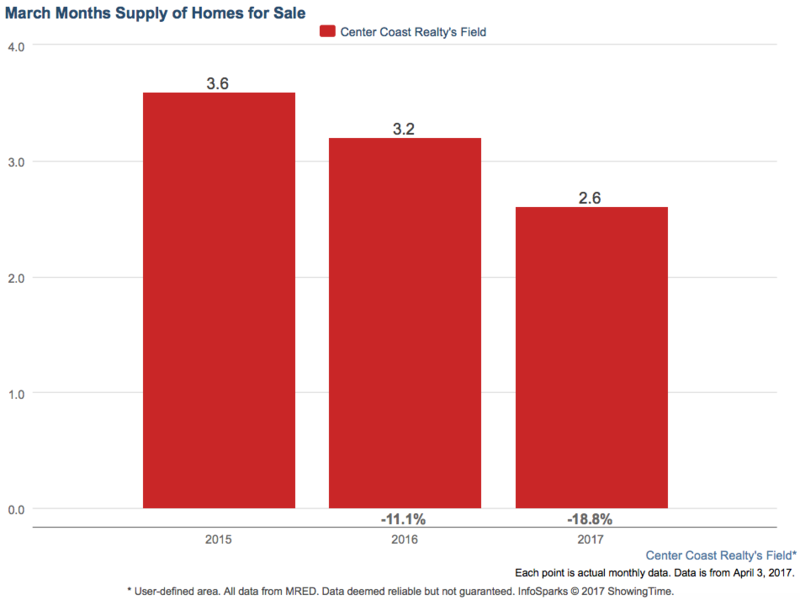 The inventory of homes for sale has stayed low over the past couple years, but supply has always increased as we enter the spring months. This March was different though. 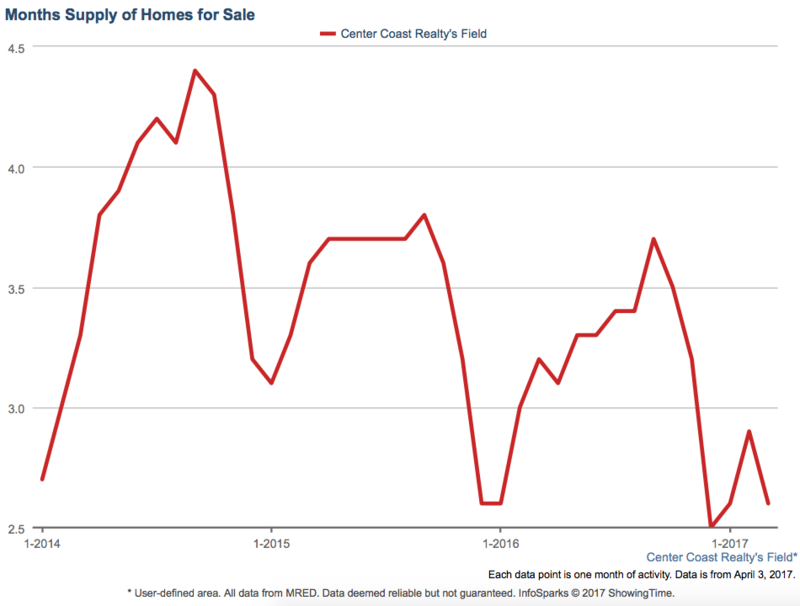 There were actually fewer homes for sale in March than there were in February, which is the opposite of what usually happens. In other words, supply of homes for sale was extremely low. And to top it off, even more buyers are looking for homes than usual this spring. Some reasons for this? Buyers are trying to lock in a low interest rate before the looming interest rate increases expected later this year. 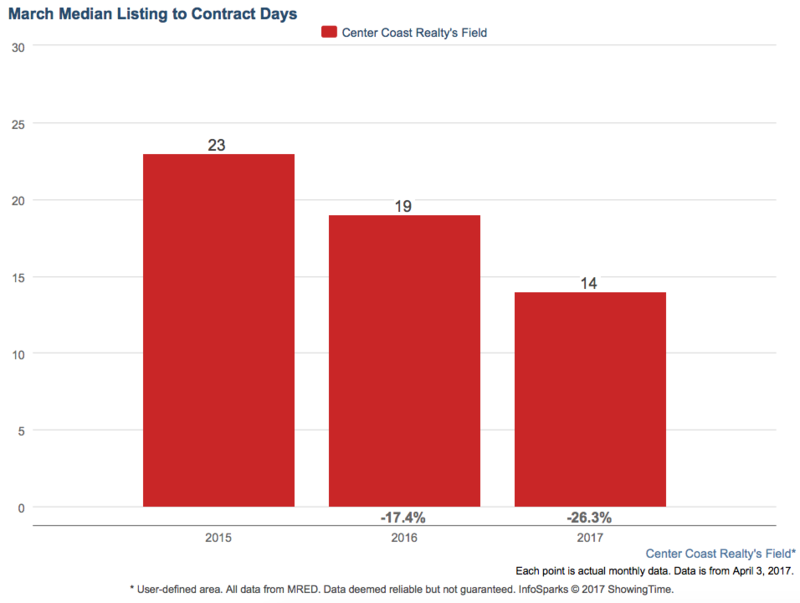 And many buyers who would’ve been house hunting this past fall were more focused on the election and the Cubs’ world series run during that time, so they delayed their search until the beginning of 2017. If you’re house-hunting this spring, get your game face on. And if you’re selling this spring, get ready to watch multiple offers roll in. It’s a jungle out there.